Icelandair group, which includes Icelandic national carrier Icelandair, in the middle of the process of purchase a significant shareholding in two airlines, which commercial situation is more than gloomy. Both airlines are based at islands in the Atlantic ocean, which could give to Icelandair new opportunities. Flugblogger has checked the map and compared potential benefits. The first purchase is Cabo Verde Airlines, based at Capo Verde archipelago in central Atlantic to the west from Africa. At 30th of July Cabo Verde’s Prime Minister Ulisses Correia e Silva has announced big news for locals: Icelandic national carrier Icelandair has made an offer for buying 51% shares of Cabo Verde Airlines (TACV). Cabo Verdean news agency “Inforpress” has quoted Correia e Silva’s speech to the nation: “Unlike the misinformation put into circulation, Icelandair did not abandon TACV. Since the management contract is finished, we move on to the next stage, which is the privatization negotiation. Icelandair has already submitted a proposal for the acquisition of 51% of the TACV. TACV will be privatized as planned”. The prime minister’s gladness is understandable, considering during the summer of 2018 the airline was left without any aircraft. It happened because of the time lag between the end of the contract for wet lease from Icelandair and signing a new agreement. Ulisses Correia e Silva emphasized, that situation in 2018 was different from 2016 when airline encountered fleet shortage due to „lack of payments and lack of credibility of TACV”. Icelandair is not a very new player on the island. Icelanders had come to Cape Verde in August 2017, when the local government had signed the agreement with Icelandic airline for management of local carrier. 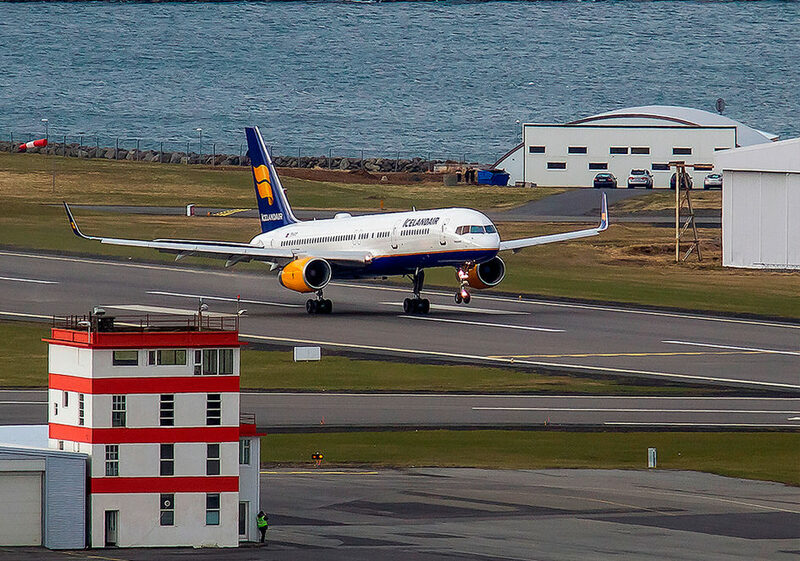 Together with the signatures, Icelandair Boeing 757-200 (TF-FIW) came from Iceland to Cape Verde. The whole fleet of the airline, therefore, included only two Boeing 757, which were performing flights to Americas and Europe. Americans destinations were Brazil (Fortaleza, Recife, Salvador de Bahia) and the US (Boston), meanwhile, European destinations included France (Paris), Italy (Milan, Rome) and Portugal (Lisbon). Therefore, the route network follows destinations from Icelandair, except Brazil. However, implementation of familiar destinations goes bumpy for Cabo Verde Airlines even under Icelandair management. For example, in July 2018 the General Sales Agent for Italy of Cabo Verde Airlines “Discover the World” had announced that all flight to Rome will be cancelled due to lack of planes. It is expected that the privatization of Cabo Verde Airline will extend Icelandic participation in the development and bring more aircraft to the archipelago. Icelandair has published official press release regarding the deal, where says: „Loftleidir-Icelandic, a subsidiary of Icelandair Group, has participated in two projects in the Atlantic Ocean, on the one hand, with a TACV leasing and flight service agreement, with purchase options, and, on the other hand, in the privatization process for SATA airline in the Azores . With regard to the cooperation in Cape Verde, Loftleidir-Icelandic has confirmed that it is prepared to continue negotiations for the acquisition of the 51% stake that the company is entitled to, but has not undergone any further obligations“. The second purchase is similar to the first one. The set includes archipelago, airline at the edge of bankruptcy, the deal with local government, selling half of the company to the first comer. The only difference is the Azores are closer to Iceland than Cape Verde. Nine volcanic islands are situated in the Atlantic Ocean to the west from continental Portugal. According to local media Diario de Nolicias, last week Icelandair group had submitted a formal proposal for the acquisition of 49% of the share capital of SATA Internacional – Azores Airlines, after being pre-qualified in the first phase of the process. Despite Azores media information about the proposal, Icelandair emphasized in its press release: „Loftleidir-Icelandic has not decided whether a formal offer will be submitted to 49% of the share capital. According to the privatization process, Loftleidir’s deadline to answer the regional government expired, and Loftleidir proposed a negotiation procedure for the next six months. The proposal does not include any obligations for Loftleiðir-Icelandic“. The news about Icelandair intentions of purchasing was announced by SATA in April 2018. The deadline for making a proposal came in 26th of June when Icelandair group requested a 30-days postponement. The company explained the delay by a necessity of better learning the situation around the Azores Airlines. The concerns of Icelanders are fully understandable, considering their dream purchase has $250 mln debt. The airline was trying to decrease its debt repeatedly since 2015. According to the first plans, the company was going to reduce its debt from $210 m to $46 m before 2020 by reducing fleet and workforce. However, instead of this, the process of fleet renewal had started. In 2018 Azores Airlines fleet includes one Airbus A330-200, two Airbus A321neo, three Airbus A320, and one Boeing 737-800, leased from Blue Air. The Airbus A321neo are received in terms of interim leasing for 2017-2019. It is expected, that four Airbus A321neoLR will come in 2019 to replace A321neo. According to Azores Airlines website, their European destinations are Gran Canaria, Germany (Frankfurt), Portugal (Faro, Lisbon, Madeira, Porto), the UK (London) and Cape Verde, meanwhile, Americans destinations are only in North America (Boston and Toronto). 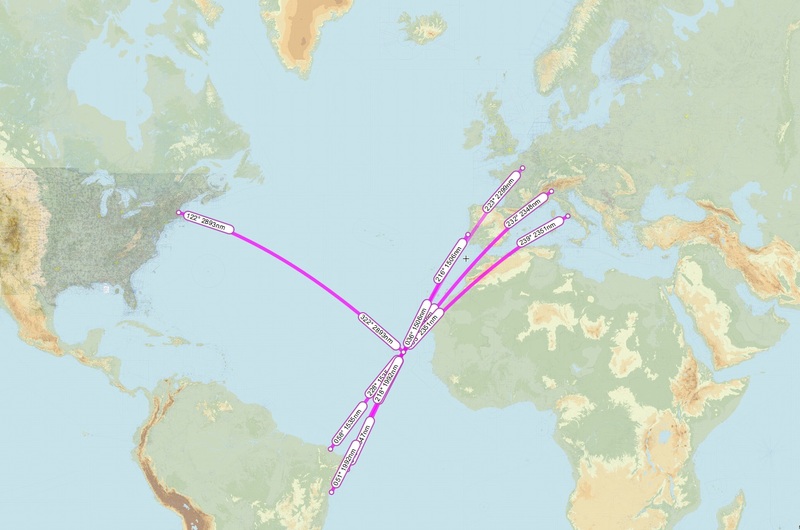 So far, the route network is pretty similar to Cabo Verde Airlines. The pivotal moment is that the Azores has big touristic potential and promote itself as a great holiday destination. In 2018, the archipelago was included in several “top lists of holiday destinations” by a version of different media. Someone even considers the Azores as „new Iceland“, saying about its small population, beautiful landscape and hot springs. Means, the stopover program might lead to the „Icelandic style“ tourism boom. Actually, this is not the main goal for Icelandair group. According to ICAO statistic, Europe continues to be the biggest airline market. In 2017, it had 37% of all world flights with 8,6% grow from 2016. The North American market had 13% of all world flights with 4,9% grow since 2016. The Latin America and Caribbean area together had 4% of the world amount with the fastest growing of 10% since 2016. The only way to link these markets is cross Atlantic air bridge. The main trend, which appeared recently, that low-cost airlines became long-haulers. In 2017, low-cost delivered 30% of all world passengers and the numbers are growing, says ICAO. It is obvious that very soon low-cost will push traditional carriers out of the Atlantic market. Actually, the process has started already. We should not go far, the story develops right in front of us, in Iceland. The national carrier Icelandair, who was the long routes leader for many years, is competed by low-cost WOW air. The main difference between the two airlines that Icelandair, as more conservative and formal airline, still put enough efforts to promote itself among locals, meanwhile the main WOW air customers, obviously, leave abroad – in Europe and North America. In other words, for an Icelandic airline is the more lucrative way to link huge markets through its main hub proposing transfer rather try to fight for the local market. Earlier Icelandair Chief Operations Officer Jens Þórðarson explained to Flugblogger how many passengers of each category travel with the airline: “First is – Icelanders travelling abroad, that is about 15% of our passengers; passengers travelling to Iceland is about 30%, so passengers travelling transatlantic are 55% of our passengers. It is more than half. There we have the biggest growth opportunities”. According to recent research, the WOW air’s strategy brings its benefits. Started with less than 10% in 2012 on the trans-Atlantic market, the airline reached 27.6% share of annual seat capacity in 2017. Meanwhile, for Icelandair numbers are decreased from 80,4% in 2012 to 51,4% in 2017. It is predicted 2018 will be the first year when Icelandair will have less than a half. The forecast is confirmed indirectly by Icelandair press release, which in July lowered the airline’s EBITDA guidance for the 2018 financial year by $50 million (from $170-190 to $120-140 million). The reason was mentioned in the press release are slower-than-expected yield growth and higher fuel costs. Therefore, without further steps, the situation is not in Icelandair favour. So, why the Azores and Cape Verde? The main reason is on the surface. On the surface of the Atlantic ocean, which lacks areas good for making a hub between Europe and the Americas. Having such aerodromes in the middle of the ocean is similar to military superiority: an airline can gather passengers from both sides of the ocean and suggest a good transfer option, combined with a stopover. The idea is not new and might be the Icelandair is the best in the world for using it. Indifference from Iceland itself, Azores can suggest more comfortable options for connecting Southern Europe with the US. We are talking about shorter routes between, for example, Greece, Italy and Spain at one side and the US, Canada at the other side. Cape Verde has another feature. Using this archipelago it is good to connect Europe with Latin America or Africa with North America, suggesting similar options as for northern routes. In addition, mid-Atlantic hubs could help Icelandair to fight with the low season. Jens Þórðarson earlier told how seasons affect Icelandair operations: “Many airlines have 30-40% more flights in summer, we have over 100%. There is nothing to do for [so many] pilots during a winter. 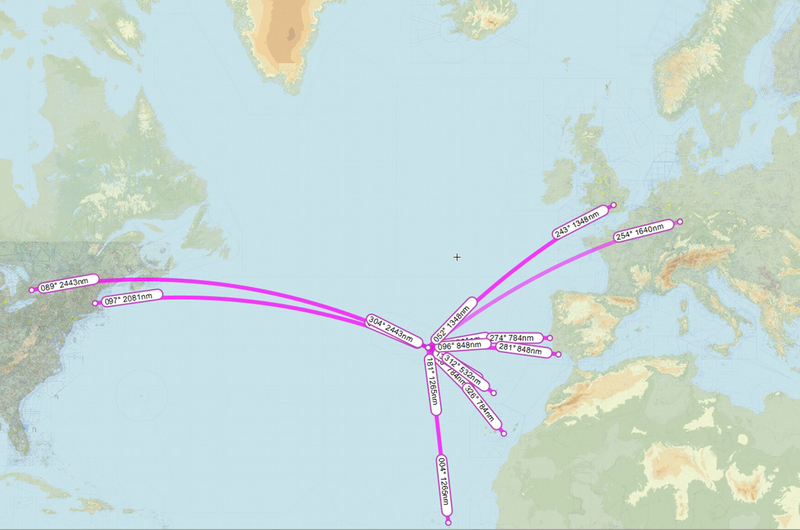 [The crew shortage] This is essentially how we coped with it.” Implementing network through Azores and Cape Verde hubs could help Icelandair to balance its operation schedule along the year. The only way to obtain such opportunities – have a hand over managing the hubs via locals airlines.